Waltham, Mass.—October 8, 2013— BlueSnap, a smarter payment gateway, today announced that the company’s SnapMobile optimization technology that provides a one- click checkout experience for shoppers using mobile devices has received a very positive response from customers. With shopper abandonment rates reaching upwards of 70 percent or more on mobile devices, merchants have been relying on BlueSnap to make it easy for shoppers to purchase from any device with just one click. With SnapMobile, merchants have the ability to serve up the appropriate checkout form irrespective of whether the shopper is buying on a mobile device or a PC. BlueSnap auto detects the type of device a shopper is browsing from and automatically optimizes how the content is displayed on that device, allowing merchants to capture revenue that is typically lost with other eCommerce and payment processing service providers. Not only has BlueSnap optimized their platform for mobile use, but also created the ability for merchants to customize the interface, serving up a seamless branded experience across multiple devices. 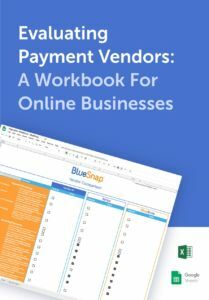 As a smarter payment gateway, BlueSnap provides all of the intelligent payment routing, advanced subscription capabilities, and the global payment processing coverage and experience needed to support a successful transaction, in a simple, clean, mobile friendly interface. SnapMobile and the BlueSnap logo are trademarks of BlueSnap, Inc. All other trademarks are the property of their respective holders.